IntelliWheels, Inc. is an innovation house for wheelchair technology. Growing from a true student startup, to an established company in just over three and a half years, IntelliWheels currently manufactures and distributes the Easy Push wheel (a geared manual wheelchair wheel that makes pushing a wheelchair twice as easy) nationwide. IntelliWheels, Inc. is focused on creating a company and products that promote independence for wheelchair users by developing new mobility options. They proudly manufacture and assemble the IntelliWheels Easy Push in a 30-mile radius. Their plastic components are manufactured in Paxton, IL, their medal components in Sadorus, IL. Assembly of the Easy Push wheels is completed in Rantoul, IL. Since incorporating in 2010, IntelliWheels, Inc. and its founders have won the following: 2011 Lemelson-MIT Award – $30,000 innovation award to Scott Daigle; 2012 Champaign County Innovation Celebration – Social Entrepreneurship Award; 2013 Woman of the Year from Central Illinois Business – awarded to Marissa Siebel; and 2013 International Gold Medal in the 800 meter from World Championship in Paralympic Track and Field – Josh George. IntelliWheels has been published in trade publications HME for home medical providers and in Inc. Magazine, June 2013. In August 2014, they were awarded a $1.5M Phase II SBIR grant from the National Institutes of Health (NIH). BRG Sports, formerly known as Easton-Bell Sports, is a leading designer, developer and marketer of sports equipment and accessories that enhance athletic performance and protection. With Bell, Riddell, Giro and Blackburn, the company’s brand portfolio sets the standard for innovation and excellence in football as well as snow, action and power sports. The company has grown over the years through a selective acquisition of other technology-based sporting goods companies, bringing on Riddell in 2003; Bell and Giro in 2004. The company is headquartered in Scotts Valley, California and has 32 locations in the U.S., Canada, Mexico, Europe & Asia. BRG Sports’ history in Champaign County dates back to 1983, when Bell Sports acquired a motorcycle accessories manufacturing facility in Rantoul. The company has expanded its local presence over the last three decades, shipping more than 13 million units annually and serving as one of the area’s largest employers. The Rantoul operations handle product distribution, assembly and shared services for several brands including Bell, Giro as well as Riddell consumer products. In one day, the Rantoul operation produces 18,000 – 25,000 helmets. Triptych Brewing is a microbrewery started by three partners in 2013 to bring great, local beer to the community. Triptych was one of the first distributing microbreweries in the Champaign-Urbana area. In addition to serving samples, pints, and offering growlers to-go in its Savoy taproom, Triptych beer is available in more than a dozen different locations throughout Champaign-Urbana. In just under one year of operation, Triptych brewed over 45 different kinds of beer and surpassed over 500 BBLs (or over 124,000 pints). You can find their beer at local establishments including: Seven Saints, Big Grove Tavern, Billy Barooz, Black Dog, The Canopy Club, Crane Alley, Dublin O’Neil’s, Farren’s Pub & Eatery, Jupiter’s, and Radio Maria. Want to know what’s currently on tap? Just visit their website! It lists all the beers on tap, provides a description, lists the serving prices, and alcohol content. 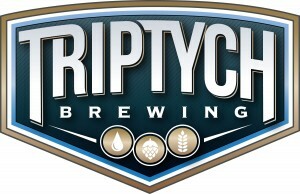 Triptych Brewing won a silver medal in the 2014 World Beer Cup in April 2014. Triptych’s winning entry was an English style brown ale known as Dirty Hippy. Almost 5,000 entries from more than 1,400 breweries representing 58 countries participated in the biennial event. Electroninks makes reactive silver inks for different printing processes that can be patterned via inkjet, flexopress, aerosol jet, and other low viscosity processes. Through the help of a successful Kickstarter campaign (12,277 backers with a total pledged of $674,425—their goal was $85,000), their Circuit Scribe products are being manufactured for STEM learning. From orders placed in their Kickstarter campaign, they will start shipping Circuit Scribe kits by July 31, 2014. You can draw 60-80m (196-260 ft) worth of lines with 1 Circuit Scribe. An unopened pen has a shelf life of about a year, they’re optimizing the ink to try to make it last longer. Once it’s opened, the pen will write smooth for at least 6 months, after that it may dry out a bit, but you can wet the tip of the pen to get the ink flowing again. Tips to make it last longer: Keep the cap. Store it tip down. Keep it away from hot & dry environments. Volition was created in November 1996 after Parallax Software split into two companies (Volition and Outrage Entertainment). The studio is located in Downtown Champaign (over 200 employees) and is the creator of the Saints Row, Red Faction, FreeSpace and Summoner video game franchises and The Punisher game released in 2005. Volition was an independent developer until being acquired in September 2000 by THQ. After THQ’s bankruptcy and dissolution they were acquired by Koch Media in January 2013 and publish titles under their Deep Silver games label. Their latest game – Saints Row IV – was released on August 20, 2013. They are currently working on and releasing downloadable content packs for Saints Row IV and planning for future titles. Products: video game software for the PC, Xbox 360, PS3, and PS4. Red Faction Guerrilla, Red Faction Armageddon, Saints Row: The Third and Saints Row IV were each nominated for several industry awards. Their latest title – Saints Row IV – has won the most, including 11 “Best of” awards at last year’s Electronic Entertainment Expo (E3) in Los Angeles. Their latest game – Saints Row IV – sold more than one million copies worldwide in its first week of release. They have worked with famous Hollywood actors/celebrities to do voices for their games, including Burt Reynolds, Daniel Dae Kim, Mila Kunis, Keith David, Tia Carrere, Neil Patrick Harris, Thomas Jane, Jason Statham and Hulk Hogan. Saints Row 3 had about 86,000 lines of dialogue & Saints Row IV has approximately 2.15 million lines of code, not including tools used in production. Flex-N-Gate had its beginnings in Urbana, Illinois in 1956, building After Market Accessories for Pick-Up Trucks. 1968 marked the start of a transition into becoming a designer and supplier of parts designed for and exclusively sold directly to the auto manufacturers. Today, Flex-N-Gate produces parts for virtually all of the vehicles produced in North America as well as many of the vehicles produced in other areas of the world. Products: Front & Rear Steel Bumper Systems, Front & Rear Plastic Bumper Systems, Towing Hitches, Exterior Lighting Systems, Interior Plastics, Exterior Trim Components, Mechanical Assemblies, Large Underbody Stampings and Assemblies. Flex-N-Gate derived its name from its original product…a gate for a Stock Rack that rolled up like a garage door, thus a “Flexing Gate”. Shahid Khan, the owner of Flex-N-Gate, also owns the Urbana Country Club and Flightstar Corporation in Champaign County. Mr. Khan also owns the Jacksonville Jaguars NFL Team as well as the Fulham Soccer Team of the European Premiere League. Flex-N-Gate was the 13th largest Automotive Supplier in North America in 2012 (per the 6-17-13 Edition of Automotive News). Flex-N-Gate operates 48 manufacturing facilities in 6 countries & employs over 13,000 associates (over 700 in Champaign County).